For the connections of wires and informative Grace. I love thee to the level of modern day’s pace. Most whimsical need, by fun and electric-light. I love thee purely, your knowledge I Praise. I love thee with a passion your speed doth amaze. In my old library griefs, with card catalogs to hate. February is American heart month; it is a time when we celebrate Valentine’s Day, and the people we love. It is a time of awareness and caring for that special organ that beats to its own drum. More than anything my heart is encapsulated by my family, but alas, I harbor a second love; a love of the internet. I think anyone from my generation who had to go to a public library and struggle through an antiquated, cumbersome filing system probably loves the internet as much as me. When I was a child in school, I was brought to the library. It was in this institution that I was introduced to a code more complicated that Morse, more difficult to learn than Navajo, a code dating back to the Parisian revolution of 1789. Leave it to the French to burden us with yet another complication of their sophisticated palette. What code was so burdensome to my youth as to inspire a love poem to the internet? Why the card catalog of course. 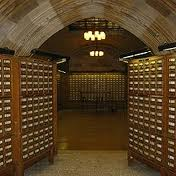 If you are reading this and have no clue what a card catalog is then you are quite lucky for two reasons, one because you have never had to use a card catalog, and two, because you can click on the link above to learn what a card catalog is; a luxury unavailable to me as a kid. The first major orientation to any library was the location of the card catalog. Mine was no different. Without that giant wooden filing system, no book could be found. The catalog cabinet was a series of mini filing drawers, each filled with standardized catalog cards measuring 7.5×12.5cm. Each card was meant to display information regarding: title, author, and subject. Further systematization by Melville Dewey allowed a person to locate a book to a particular shelf within the library via a series of itemizations consisting of ten classes, divided into ten divisions, each having ten sections. This was known as the Dewey Decimal System. Confused yet? Me too. It would take me almost all of my library period to try and locate the book I was assigned to find. When I finally made it to the shelf that matched a number that looked something like this: 962.05 I would find 962.04, 962.03, but never would I be able to find 962.05…never. And so this was the case no matter which library I frequented. This meant I stopped frequenting the library. In fact, I came to loathe the library. I hated everything about it: the quiet atmosphere, the nasty librarians, the Dewey decimal system, and most of all the imposing card catalog that held nothing but empty promises of books never to be found. I tried soliciting help from the librarians, but I’ve learned over time that librarians must be a victim of some kind of social disorder that prevents them from enjoying contact with other human beings. Why else work in a place where silence is the rule and the only words spoken are those enforcing that rule? 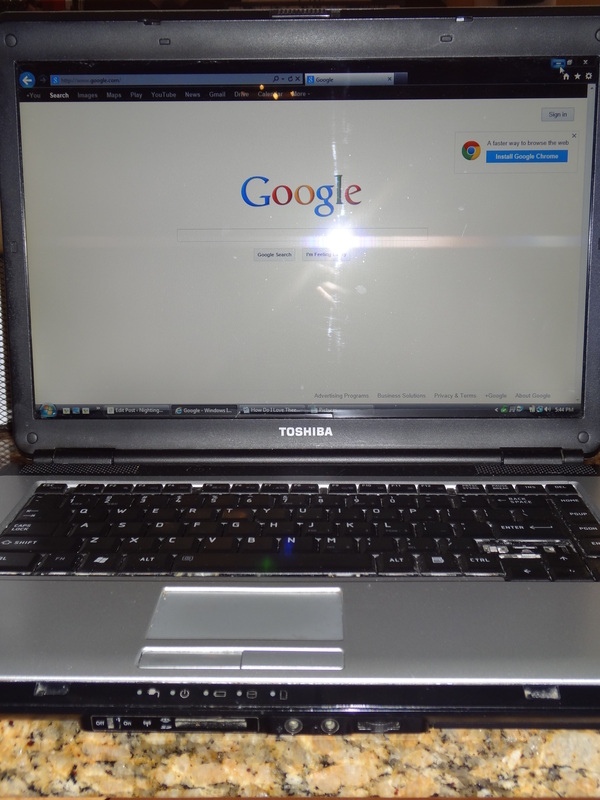 So yes, I love Google, I love the internet, I love anything that keeps me out of a library, out of reach from organized index cards with odd numbers on them, and away from shushing, socially inept, bookworms. I fear the library will always be an archaic place that houses quiet and dark corners and people with index fingers permanently attached to their lips. As for me I will sit at my laptop, with the sounds of laughter in the background, the light streaming through my windows, the books I downloaded onto my kindle, and my daughter happily drawing on her pencil sketch app from Google play. Have a Happy and Healthy Heart Month! !